Both fans and athletes have get in to the spirit of Olympics with a Brazil themed party in Toronto at Woodbine Beach. The 1st of July, Friday is the Canada Day, when the Canadians have gathered together for celebrating the birthday of the country in 1867. As only one month left for the Rio 2016 Olympic sports all the fans has come together to Woodbine Beach for giving a warm send off to the Olympians before their journey to the Brazil, Rio. 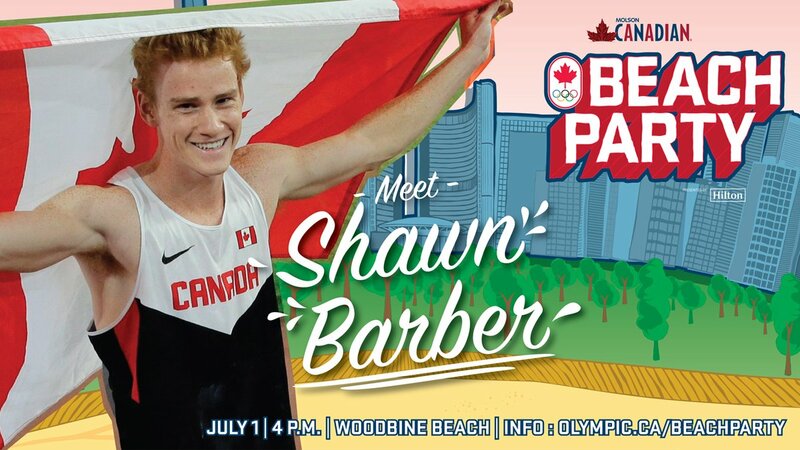 The sports stars who are taking part in the event includes the Rosie MacLennan – the Olympic trampoline gold medalist and pole vaulter Shawn Barber – the world champion, who will be moving to his 1st Olympic sports. The celebrations in the beach have been completely filled with the theme of the Rio with some of the performers along with a grouping of carnival dancers as well as band of Brazilians. 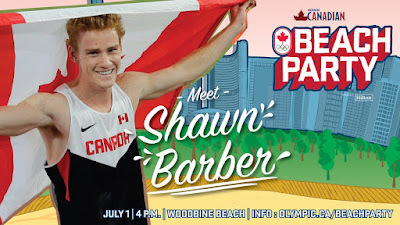 Along with the Barber, many others have joined the party and they include the athlete’s khamica Bingham, Philip Osei, Bismark Boateng, Jelissa Westney and Alysha Newman; boxers Mandy Bujold and Arthur Biyarslanov; swimmer Javier Acevedo; diver Max Bouchard; fencers Eleanor Harvey, Maxime Brinck-Croteau, and Joseph Polossifakis; gymnast Scott Morgan and wrestlers Jillian Gallays and Michelle Fazzari. Along with the celebrations, at the beach party - the Royal Canadian Mint has revealed the Lucky Loonie dollar 2016 which is a special memorial coin with all the Olympians of the Canada taking part in the launch event. Since the 2004 Athens Olympics, each and every athlete of the Canada going to Olympic as well as Paralympic games have got the lucky coin from the Mint.